What’s Your Productivity Personality “Type”? Low engagement and productivity are serious problems for organizations. As I mentioned Monday, Gallup’s numbers show only a third of workers are engaged on the job. The office is actually the last place most people want to be when they need to be productive and complete a task. What about you? How productive would you say that you are? Do you suffer from too many on-the-job distractions, lack focus, or have a hard time staying organized? As high achievers, we often adopt habits that help us cope with excess to-dos and cramped schedules. We get along pretty well until our habits backfire. The tendencies that we created to survive our workload become hindrances to our growth. A little while back, I created an assessment to help high achievers identify their current level of productivity. I’ve updated it to include a way to identify your “type”—the approach you take when you’re overloaded. Knowing your type—as well as how you score in different productivity areas—provides the clarity you’ll need to break through to the next level. This assessment is completely free, and it’s only ten questions. I’m excited to report that more than 45,000 people have already used it! When we get swamped—even if we love our jobs—we don’t stop long enough to ask ourselves if what we’re doing is actually working. You probably get a lot of things done. But if you feel frustrated, stuck, exhausted, or always on the go, your current system could probably use some improvements. It’s also worth knowing what is working so you can play to your strengths. My Free to Focus Personal Productivity Assessment can help you pinpoint exactly what’s running smoothly—and what needs to be overhauled. Your unique productivity personality “type” and what it means for you. Nine key categories of personal productivity and where you’re currently succeeding or struggling. The present reality about your tasks, schedule, workload, and personal margin. How to optimize your efforts for success in specific areas. 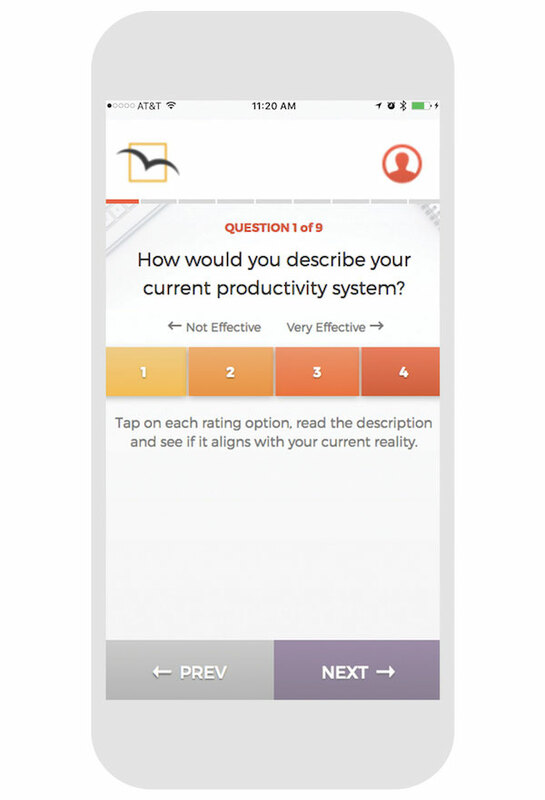 As I mentioned, the Free to Focus Personal Productivity Assessment is free. It’s online and mobile friendly so you can take it on any device. And you can complete it in as little as ten minutes. Best of all, when you’re done, you’ll get a description of your type and a productivity score-specific report. You’ll also receive actionable tips and tricks to increase your score and become more productive. Once you get clear on next steps, you’ll be able to chart your improvement by comparing your scores and achieving a new personal best. Identifying your current location is key to getting where you want to go. The Free to Focus Personal Productivity Assessment not only shows you where you are on the map, it also points the way forward. Click Here to Discover Your Type!